When I became Muslim, I typed and printed up my own salah manual. I included the transliteration and the meaning in English underneath. A simple two rakat of fajr might take me half an hour reading and fumbling through, trying hard to remember and not make any mistakes. Now with practice, the time is shorter but I’m not sure the baraka is greater. May Allah increase us in our steadfastness and khushu, ameen. My first experience with the Quran was through reading English translations then through transliteration, and eventually through reading the Arabic script. While on a trip to New York, I purchased my first Arabic Quran. It was a red-letter version with each mention of Allah’s name or variation of it highlighted in red. I carried that Quran back with me on the flight home. 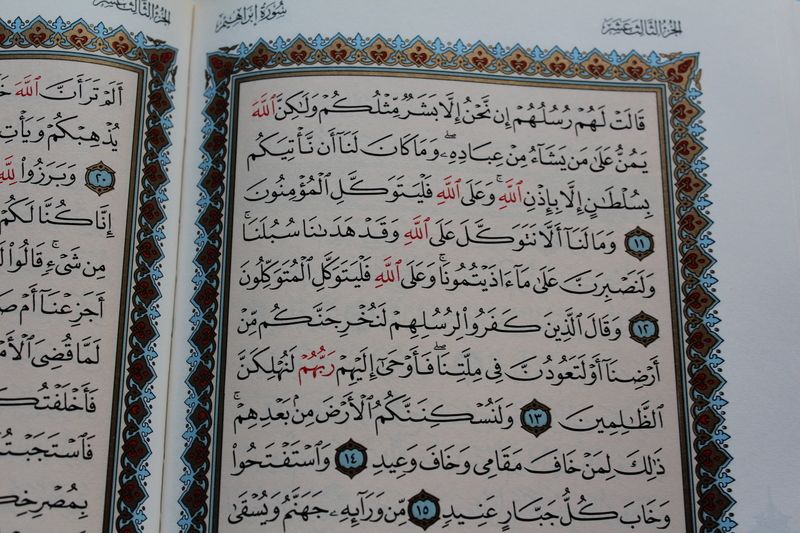 Once settled in my seat, I opened the mushaf and began “reading” as I flipped through the pages even though the only word I could identify was the word “Allah,” highlighted in red. I was so happy to be able to read or rather recognize that one word. When Jibreel recited the first revelation to the Prophet (sal Allahu alayhi wa sallam), “Read,” the Prophet (s) said, I cannot read. 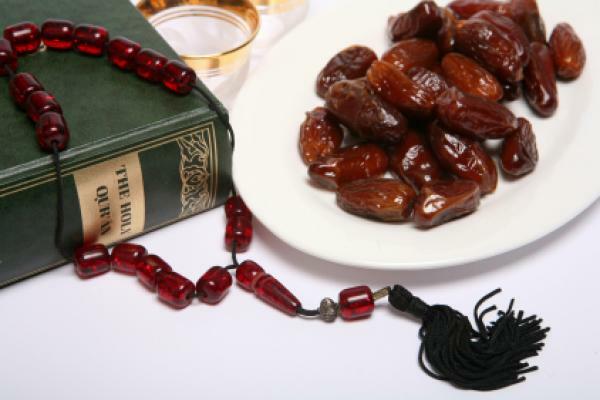 The Prophet (s) persisted and did not give up and neither should we if we struggle to read or recite the Quran fluently. I can read what I’ve memorized very quickly. I can probably read all of Juz Amma in less than 30 minutes. But for sections of Quran that I’m unfamiliar with, I read the Arabic, verse by verse, trying to implement the rules of tajwid to the best of my ability. After each verse, I turn to my Dr. Muhammad Mohar Ali word-for-word translation so that I can learn the meaning and improve my vocab and then I might re-read the verse or spend some time reflecting on it. So after one blessed hour, I might have only made it through two pages, somewhat exhausted by the effort. When we struggle to read the book of Allah or perfect our tajwid or get up for our after-fajr tajwid classes at Ilm Summit or be patient with our Quran teachers, let’s remember the great reward promised to us for that struggle. If you feel shy or embarrassed by your reading or memorization skills, use that emotion to your advantage along with the hadith mentioned above to motivate yourself to learn, ask for help, and read more even if it’s only one verse a day. It will get easier. Make dua that Allah will open a way for you to understand his words. Be consistent. Read each day, even if it’s only one line or one verse. Be humble and open to learning and correction. We don’t like to admit to our own ignorance or weakness. In order to grow and reach new heights, we have to admit we’re at a state below where we want to be. Know what you’re reciting, reading with understanding will humble you as you apply the verses to your own life. Get a teacher and recite to them, anyone who knows a bit more Quran or tajwid can help you.